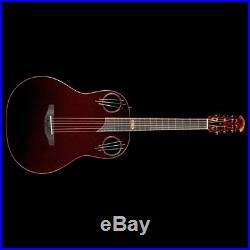 Adamas Ovation 1198-AV40 40th Anniversary Acoustic-Electric Guitar Ruby Gloss. Brand new in new hard-shell case. This model has only 50 of these guitars produced to celebrate the 40th anniversary of Ovation/Adamas, the brand name that witnessed the history of world rock and folk music. Each of these 50 Anniversary guitars comes with full history recorded with Ovation/Adamas. This is a guitar with tremendous musical and historical values which will only increase with time. Get this while you still can! The guitar will come with a unique serial number that shows its order from 1 to 50 in this particular 50th anniversary model. Truly one of a kind! Adamas 40th Anniversary Guitar, Adamas 1198-AV40 Guitar. Series: 40th Anniversary Adamas Guitar. Top: Woven Twill Carbon Fiber. Body Binding: Cocobolo Binding with 3ply Wood Purfling. 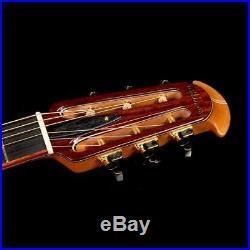 Epaulet: Cocobolo and Brass Bearclaws (#23 Adamas Style). Neck: 12 Fret Mahogany 5-Piece with Maple/Mahogany Laminates. Neck Finish: Satin Neck with Gloss Cocobolo Headstock Face. 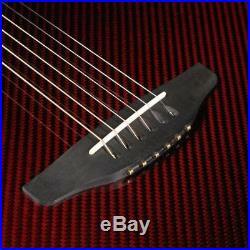 Neck Binding: Cocobolo Binding with 3ply Wood Purfling. Number of Frets: 20 , EVO Gold. Postion Inlays: 12th Fret 50th Anniversary Phoenix. Nut (Material/Width): Bone, 1 11/16 (43mm). Tuning Machines: Schaller 14:1. This is a very Limited Edition Built in Connecticut, USA. This Model is being Maunfactured for us Now. Limited-run Ovation with Carbon Fiber Top. The limited-run Ovation 1198 40th Anniversary Adamas acoustic-electric guitar's creative styling exploits the unique tonal properties of carbon fiber to deliver a resonant sound with incredible sustain and note definition. Whether playing full chords or fingerpicking arpeggios, this guitar's musical, lively tone and bell-like harmonic overtones imbue your playing with an unforgettable sonic personality. Ovation's signature Lyrachord body works in concert with onboard electronics to deliver an astonishing amplified performance. Eye-catching appointments like a cocobolo/brass bearclaw epaulet, cocobolo binding with 3-ply wood purfling, and Phoenix 12th-fret position inlay make the Ovation 1198 40th Anniversary Adamas an exquisite acoustic-electric guitar. Ovation 1198 40th Anniversary Adamas Acoustic-electric Guitar at a Glance. Carbon fiber top imbues your playing with unique tonal properties. Signature composite body is richer and lighter than ever. If you've never played a carbon fiber instrument before, you're in for a treat. The first time you strum the Ovation 1198 40th Anniversary Adamas, you'll experience incredible resonance and sustain, as well as crystal-like note definition across the entire tonal spectrum. This guitar's lively sound, with bell-like harmonic overtones and distinct bass, possesses an almost piano-like clarity. Carbon fiber is also known for its superb projection. Detail, warmth, and volume - the Ovation 1198 40th Anniversary Adamas has it all. Ovation's lightweight Lyrachord composite body now provides a richer and more dynamic playing response acoustically or plugged in. A comfortable curve keeps the 1198 40th Anniversary Adamas from digging into the player's body during performances, and a cutaway provides easy access to higher frets for solos and lead work. For a gutsy-sounding direct tone, Sweetwater guitarists recommend checking out the 1198 40th Anniversary Adamas. 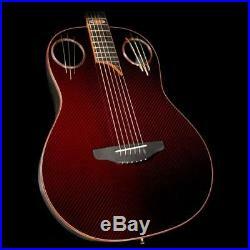 Ovation 1198 40th Anniversary Adamas Acoustic-electric Guitar Features. Carbon fiber top delivers a resonant sound with incredible sustain and note definition. Comfortable contoured composite Lyrachord body responds naturally to dynamics. 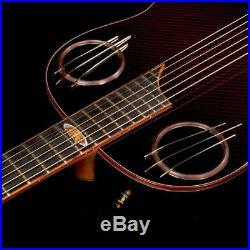 Upper-bout soundholes with exotic cocobolo epaulet enhance string vibration and provide an innovative look. Deluxe 5-piece maple/mahogany neck with fast satin finish. Articulate ebony fingerboard with matching bridge. Anniversary Phoenix 12th-fret position inlay for a custom appearance. Grab this limited-run Ovation 1198 40th Anniversary Adamas acoustic-electric guitar! These will absolutely bring your playing skills up onto a higher level! Yngwie Malmsteen Signature Guitar Licks: The Best of Yngwie Malmsteen, A Step-by-Step Breakdown of His Guitar Styles and Techniques. Steve Vai Guitar Styles & Techniques. Metallica Style and Techniques Riff by Riff. Jennifer Batten Two-hand Rock for Guitar. The Best of Joe Satriani : A Step-by-Step Breakdown of His Guitar Styles and Techniques. Advanced Lead Metal Guitar Method by Troy Stetina. The item "Adamas Ovation 1198-AV40 40th Anniversary Acoustic-Electric Guitar Ruby Gloss" is in sale since Tuesday, August 28, 2018. 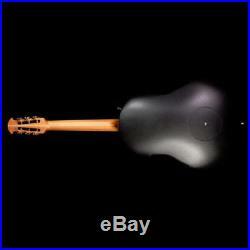 This item is in the category "Musical Instruments & Gear\Guitars & Basses\Acoustic Electric Guitars". 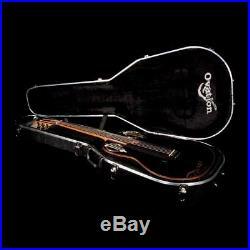 The seller is "twilightguitars" and is located in Los Angeles, California. This item can be shipped worldwide.